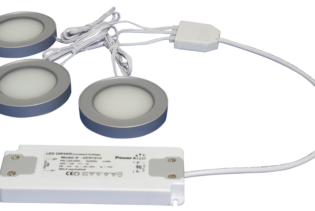 TRIO-3RS60K-TD is a 3W LED, Magnetic Round Light Kit, incorporating a low power of 3W x 3 and a high lumen output of 300lm. 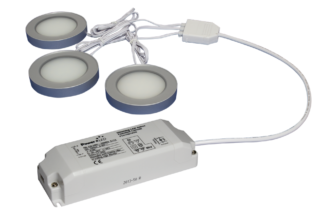 The Trio provides the required amount of dimming capability functions to allow you to have your own personal touch. 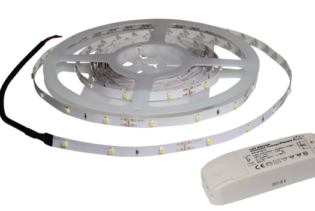 Performing at 12vdc, our Trio kit consists of 3 round LED lights with an adhesive magnetic back for easy installation of surfaces, including glass, an ultra slim universal LED driver and 3 cables to connect the kit. 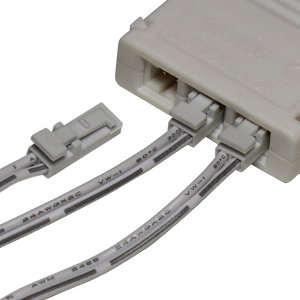 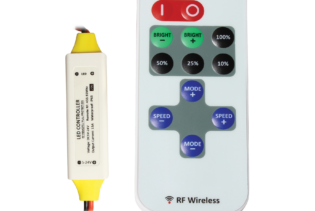 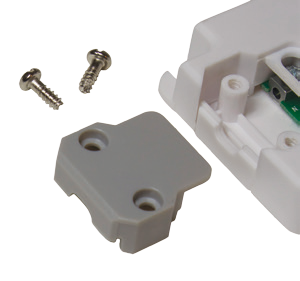 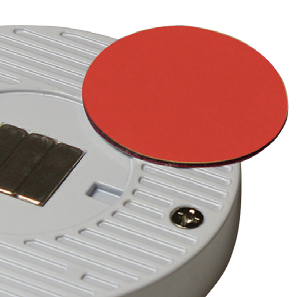 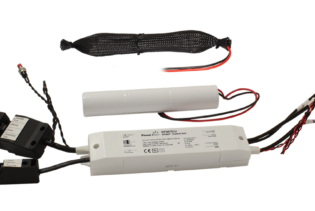 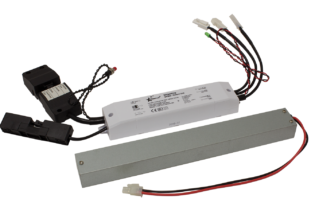 Specifically designed for a quick plug and play installation, once wired up, the TRIO-3RS60K-TD gives off a colour correlation of 6000K with a beam angle 120˚. 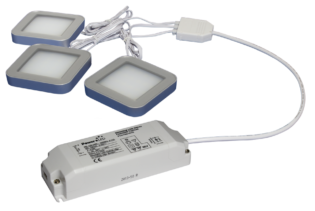 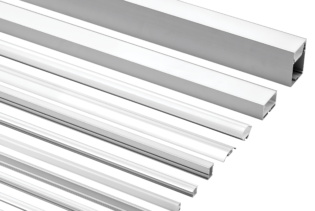 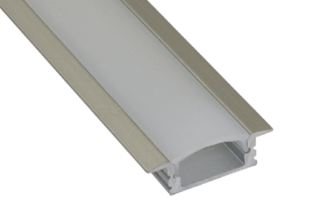 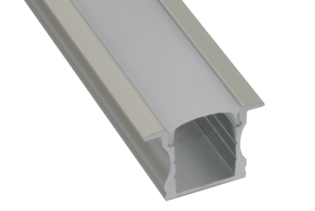 Designed with a fitted colour of silver and an input current of 330mA, the energy efficient Trios are suitable for cabinets, decorative lighting and general task lighting with an IP44 rating.